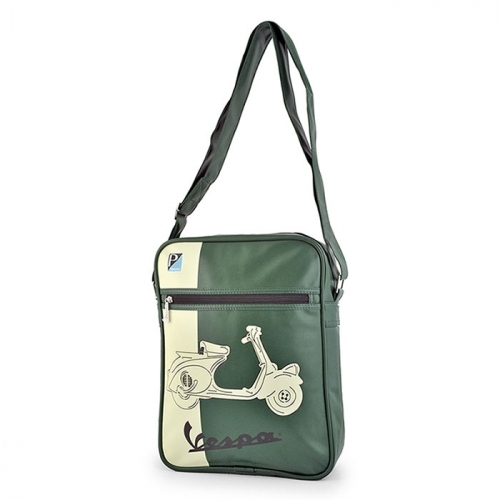 Eco-leather shoulder bag with design inspired to the Vespa tradition. Inner zippered pockets; top closure by zipper. Size 13 x 10 x 3.5 inch.